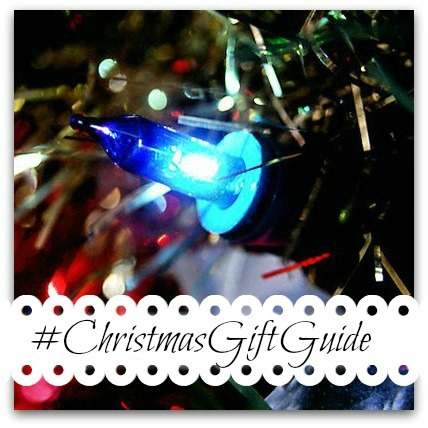 This is the first of a series of gift guides I have planned, featuring some lovely gifts that I've either been sent to try and have put through their paces, or that we've bought and used ourselves. We will be covering the trickier friends and relatives to buy for, but thought we would start with the gifts that probably get the most spent on them. There are a wealth of options for children these days, certainly if you pay attention to the TV adverts that multiply at this time of year, but what to choose? 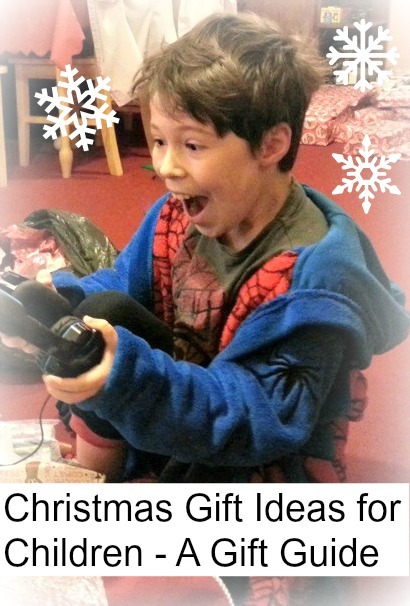 This children's Christmas gift guide should give you some ideas beyond the obvious and predictable, featuring video showcases from L on his favourite items. We will add to this post as we find more things we love! 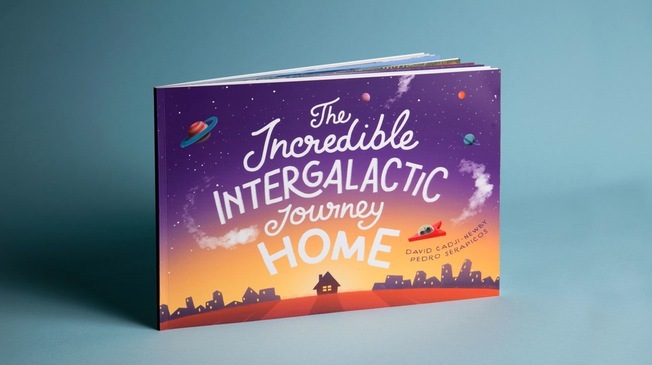 The new story book we received from the people behind Lost My Name is a space-themed adventure, which combines the original theme of helping children learn about their identity, with demonstrating how important home is. It's a lovely story about a little adventurer, who goes exploring with his robot friend and they have to find their way home using landmarks. The book is fully customisable, from the appearance of the main character, to the address the adventurers finally arrive at. I absolutely loved this book, the way it adds in a familiar local landmark, then culminates at the readers own home address, complete with aerial map, is so imaginative, it's bound to capture the hearts of little readers everywhere. 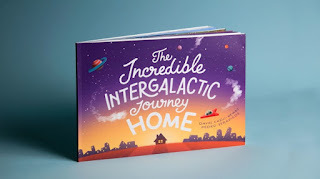 The Incredible Intergalactic Journey Home is suitable for boys or girls up to the age of 10, and even allows you to write a personal message to the recipient on the first page. I got two for my nephews and had so much fun with all the personalisation, it gives you a unique opportunity to create a really thoughtful gift. We were also sent a kit to try out from The Irish Fairy Door Company, which contains everything you need to decorate your own fairy door. The best part about Paint Your Own Door, is that it's a genuine wooden door, so you can have a world of fun making it, and have a lasting keepsake afterwards. The instructions say that if you have some varnish, you can easily weatherproof it to display outside, providing a lovely, child-made garden ornament. As you can see from the pictures, a lot of fun was had creating the piece and I think the end result is really lovely. You could even buy the kit for your child to make a door for another relative. The kit contains lots of decorations, as well as pens and paints, but also a wealth of other items to enhance the magic of the fairy door idea. There are stepping stones to create a little path, as well as a tiny notepad for any fairy visitors and a little key too. There's even a lease agreement for any fairy lodgers! At £24.99, it might not be the cheapest door you'll ever buy, but there's a lot more play value in it than you would imagine! Of all the items we've received recently, L was probably most enamoured with the Itty Bittys, from Hallmark. They are small, plushy versions of all your favourite characters; from Disney, to all kinds of different superheroes and many other characters from film and TV. They are so very collectable and there are new characters being added all the time. With a price tag of just £5.95, this is a collection that won't end up costing the earth, either. L was sent some of the Star Wars collection and I was really interested to see how he would react to them, as he'd never seen them before. So, we created a little 'unboxing' video, although it was more of a package, to get his initial reaction. When you are buying for children, it is always useful to see what children really think, so I hope you will enjoy this short video. When buying a present, sometimes you want to buy something that will contribute positively to that child's life in some way, and not just be another item for the toy box. With that in mind, L and I were very pleased to try out the ReimaGO sensor, which is a new product to the UK and makes exercise and fitness really fun for children. The difference between this and other activity trackers, is that it connects to a specially designed jacket, creating the ultimate in wearable tech. Here is L modelling his ReimaGO jacket, and you can see the black zip-up pocket where the activity tracker clips in. There are so many different child-friendly features in the accompanying app, which centres around a character which collects energy from the data provided by the physical activity. It's very visual and gives a great incentive for the child to build on their current activity level. L's Christmas present last year was Meccanoid G15 and he has really stood the test of time, so we wanted to include him in our list. He has a lot of play value because first, you have to build him. This was not easy and took a little while to assemble and get all the servos operating correctly, but it did give L a huge sense of achievement when he was finished. The list of functions is surprisingly long and you can find out more from the Meccano website, but we have put together a little video just to give you an idea how much fun he is! These seem like really wonderful gifts to fuel the imagination. Would love to give my little boy the lost my name story book, not only a lovely gift but a great keepsake too! Love the The Incredible Intergalactic Journey Home for my son and paint your own door for my daughter who loves crafts. Paint Your own door! Never too Old for that. I believe in Fairy's. The Itty Bittys, from Hallmark the Disney characters are so cute. Wonderful guide, I can't wait to see all the future ones! I love the little Itty Bitty's too cute! Some great ideas here. I've been struggling to know what to get . my granddaughter would love Paint your own door, great for creativity and individuality. I would love to receive one of the Irish fairy doors for myself! The lost my name books look fantastic! I love the personalised book. We already have the boy who lost his name and love it. But so many other lovely gift ideas that would be well received. My 4 children would love the Incredible Intergalactic Journey Home. As an Independent Phoenix Trader I would have to wrap it in Phoenix Trading Christmas paper! I like the paint your own door - nice keepsake. OoooOo, Paint the door sounds AMAZING. I'd probably have that as my son would love it! I would love the name book for my daughter, I remember having one as a kid. I would love the Lost my name book for my little girl. She loves the original one so much! I would love to give my daughter the personalised book. Would love the babyliss 12in1 styler to give AND receive. I would love to give the Lumie Body Clock to my mum. Some lovely thoughtful gifts in there, so pleased I have just found your blog thank you! Some really great ideas here! My daughter would love creating her own fairy door and my son would love the itty bittys! Fab guide. I especially love the storybook idea and my 4 year old daughter and I are a massive fan of Fairy Doors so we would love to create one of our own! Luke is a youtube unboxing pro; wow! He must have had such fun building that Meccano ... you can see his very obvious enjoyment of it. It must have been such fun filming him too, and of course putting your gift guide together. 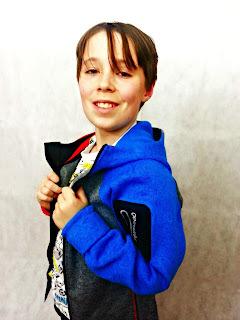 :-) Good job fellow #ChristmasGiftGuide linky host. We have the first list my name book and loved it. The new one looks great too.